On Nov. 14, 2015, around 1 p.m., an 18-year-old man and a 16-year-old boy standing near the taqueria were shot and taken to Mount Sinai Hospital, according to authorities. BRIGHTON PARK — Walking her three kids to and from Shields Elementary, Mirella Perez worries about running into gunfire. At the intersection of 43rd and Rockwell streets, where the 28-year-old mother crosses twice a day with her children to drop them at 4250 S. Rockwell St., gang fights are a common story. 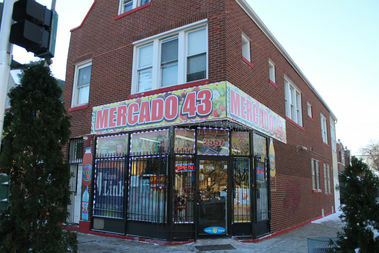 Mercado 43 in Brighton Park. After the weekend bloodshed, Ald. Raymond Lopez (15th) sent a letter to city building and business officials urging them to shut down Mercado 43 and neighboring Taqueria La Cantera to stop gang loitering, calling the intersection an “open-air drug market." “I have requested several times for [Chicago Police Department] intervention at these locations because of persistent gang and drug activities,” Lopez wrote in the letter to Maria Guerra Lapacek, commissioner of the Department of Business Affairs and Consumer Protection, and Judith Frydland, commissioner of the Department of Buildings. Though owners of Taqueria La Cantera were not available for comment Monday, the owner of Mercado 43 — who would only identify himself as “Tony” — denied any gang activity at his store. The sidewalk outside the market is a place neighborhood folks fear and report often to police. In the past three months, there have been 14 calls reporting gang disturbances in the 4300 block of South Rockwell, according to Chicago Police. The alderman said business owners need to participate in cleaning up the neighborhood just as much as police and city leaders. A known territory of the Satan’s Disciples street gang, the stretch of concrete between the market and taqueria is one riddled with violence. 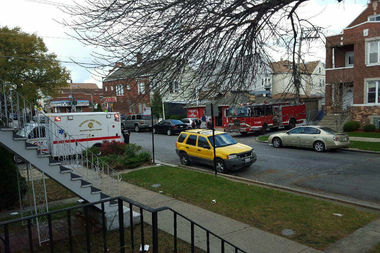 The most recent gunfire erupted at 3:29 p.m. Friday, according to police. Four people were walking down the street in the 4300 block of South Rockwell Street when two people got out of a silver car that had been parked at the mouth of an alley and fired shots at the group. A 47-year-old named Arturo Zizumbo, of the 4200 block of South Maplewood, was hit multiple times and was pronounced dead at the scene, police said. Zizumbo, known as a friendly face who walked through the neighborhood with a limp, was a bystander standing away from the teenagers who were shot, according to authorities. A 17-year-old named Daniel Torres, of the 4200 block of South Fairfield Street, was hit multiple times throughout his body and was taken to Mount Sinai Hospital, where he was pronounced dead, police said. An 18-year-old man was hit and was taken to Mount Sinai Hospital in serious condition, police said, and a 17-year-old was hit in his face and neck and was taken to the hospital in critical condition. The teens were all documented gang members, a police source said. No one has been arrested. A week earlier, someone fired shots near the same intersection around 1:30 p.m., Lopez said. No one was injured. Across the street, Shields students played outside for recess. As executive director of the Brighton Park Neighborhood Council since 1999, Patrick Brosnan has witnessed a steady string of violence at the intersection. On Nov. 14, 2015, around 1 p.m., an 18-year-old man and a 16-year-old boy standing near the taqueria were shot by a rival gang remember and taken to Mount Sinai Hospital, according to authorities. “These are grandfathers and fathers and uncles who have been involved [in gangs] whose kids and grandchildren are now involved,” Brosnan said.